The “sweetest music this side of Heaven.” That’s how the Chicago Tribune, back in 1928, characterized the music made by Guy Lombardo and his orchestra, the Royal Canadians. A native of London, Ontario, Lombardo was responsible for making “Auld Lang Syne” the definitive New Year’s Eve song and entertained countless listeners in a career that lasted more than 50 years. The son of Italian immigrants, Lombardo was born June 19, 1902. Guy (violin) and his younger brothers Carmen (saxophone, vocals) and Lebert (trumpet) grew up in a musical family, establishing their first “orchestra” in grammar school. Together with Freddie Kreitzer (pianist), they played their first professional gig in Grand Bend, Ontario, in 1919. Engagements in London and Port Stanley, Ontario followed, and the group, now expanded to include a brass section, guitarist and drummer drove down to Ohio to pursue fame and fortune. In 1924 Guy Lombardo and His Royal Canadians took up a two-year residency at the Cleveland nightclub, the Claremont Tent. There the band learned to slow down its tempos, play medleys to accommodate patron requests, and lower its volume, allegedly at the behest of club owner Louis Bleet. They also developed its patented sound, which included Carmen’s smooth saxophone and emotional voice, George Gowan’s barely-there drumming, the use of tuba instead of double-bass, and their fondness for schottisches. Local radio exposure greatly expanded the orchestra’s regional popularity, allowing Lombardo to move his crew to the larger Chicago market. There they played at the Granada Café and broadcast over station WBBM. In 1929 the Royal Canadians debuted in New York. There they took up a 33-year residency at the Roosevelt Grill and inaugurated their longstanding New Year’s Eve performances, which included “Auld Lang Syne,” a popular song from the days when the orchestra played in small Scottish communities outside of London. This was later moved to the Waldorf Astoria’s Grand Ballroom. The Royal Canadians also played residencies in Los Angeles in the 1930s, and toured throughout the US and Canada. They were guests at the White House, playing a number of inaugural balls, and strengthened their cultural currency by appearing in films like the Gracie Allen/George Burns vehicle Many Happy Returns (1934). 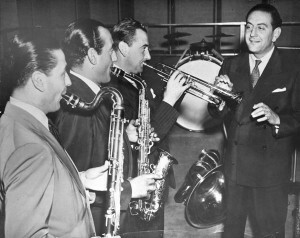 Guy Lombardo and the Royal Canadians’ recorded output was also substantial, with more than 100 albums released throughout their career. 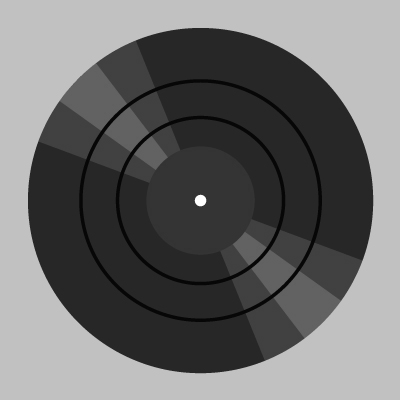 They also had a number of million-selling singles, including The Thin Man movie theme, “Humoresque,” “Winter Wonderland” and “Easter Parade.” In total, their sales exceeded 300 million. Lombardo passed away, aged 75, in Houston, Texas, on November 5, 1977. He was posthumously inducted into the Canadian Music Hall of Fame in 1978 and Canada’s Walk of Fame in 2002. His hometown of London, Ontario has named both a bridge and a street (Lombardo Avenue) after him, while his adopted hometown of Freeport, New York, has its own Guy Lombardo Avenue. The Royal Canadians continued after Lombardo’s death under a number of band leaders, among them Guy’s younger brother Victor (b. 1912) and Art Mooney, and toured into the ‘90s. Lombardo popularized “Auld Lang Syne” as a New Year’s Eve tune.